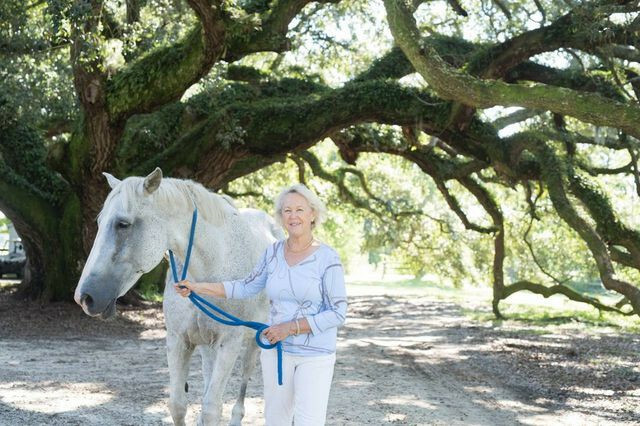 Wendy Paulson has been drawn to the sea islands of Georgia since her seventh-grade English teacher introduced her to “The Marshes of Glynn,” the Sidney Lanier poem depicting the open saltwater marshes and braided live oak trees of the state’s coastal Glynn County. Today, she and her husband, former U.S. Treasury Secretary Hank Paulson, own a large swath of that land. In 2015, they paid almost $33 million to buy Little St. Simons Island, a roughly 11,000-acre barrier island that’s accessible only by boat. The island remains among the least developed of Georgia’s Golden Isles and has just a small eco-lodge that can accommodate 32 overnight guests. Rather than build a sprawling new house, they converted a small existing cottage into a simple two-bedroom home with a metal roof, and put the entire island into a conservation easement, preventing future development. 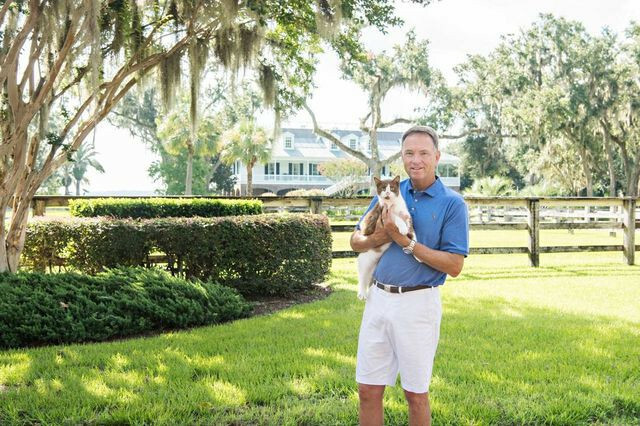 Pro golfer Davis Love III grew up in the South and now calls St. Simons Island home. 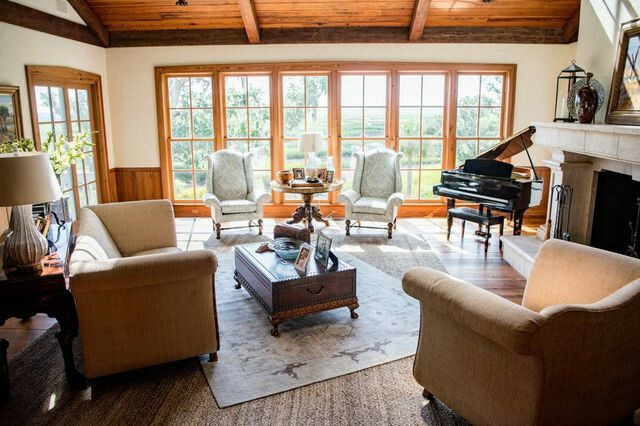 His property is located is on a private tract of land with its own horse barn and stables. 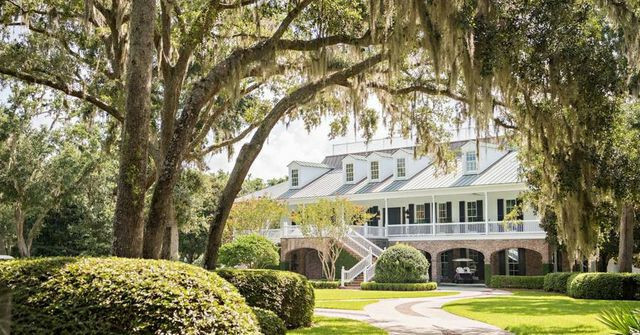 It’s a sentiment shared by many of the wealthiest homeowners on the sea islands of Georgia and South Carolina, where the wild, dreamy landscape of the Low Country is often what draws buyers. Some of the priciest homes are on large estates, typically former plantations, with easements precluding development. Other wealthy homeowners are donating millions of dollars to local preservation groups that buy up land to keep it from builders. The desire to protect the land has gained more urgency recently as soaring luxury-home prices are making developers eager to build. In Glynn County, which includes part of the mainland as well as Little St. Simons and Sea Island, luxury-home prices—for the top 5% of the market—were up 21% for first four months of the year compared with the year-earlier period, according to Realtor.com. ‘The people who live on the island don’t want it to change too much,’ said Davis Love III, who lives on St. Simons surrounded by more than 100 acres of undeveloped land. That makes it one of the fastest-growing luxury markets in the country, according to a spokeswoman for the listings portal. (News Corp, owner of The Wall Street Journal, also operates Realtor.com under license from the National Association of Realtors.) A roughly 4,000-acre property known as the Hampton Island Preserve, on the market for about $50 million, has drawn interest from developers who want to build approximately 500 homes on the site, as well as a wealthy Saudi investor who would keep the land for himself, says the listing agent. The Paulsons and other local homeowners were among those who ponied up $25 million to buy a roughly 600-acre parcel of land known as Cannon’s Point across from Little St. Simons, on the north end of nearby St. Simons Island. The parcel remains open to the public. Billionaire Philip Anschutz, an owner of the L.A. Kings hockey team, recently purchased nearby Sea Island and plans to keep portions of it undeveloped. He and other wealthy homeowners also contribute to the St. Simons Land Trust, an organization that has bought about 1,000 acres of St. Simons through local contributions in order to preserve it, according to the land trust. The main residence totals more than 10,000 square feet. Some of the largest estates in the region are owned by major figures in sports, finance and show business, who flee to the islands for peace and quiet as well as the saltwater fishing, shrimp boils, horse riding and hunting. On St. Simons, folks in the know can tell who is in town from the different colored tails of the private jets lined up on the tarmac at the local airport, said David Pope, executive director of the land trust. Among the Hollywood types who have put down roots on the islands is actor Ben Affleck, who paid $7.11 million in 2003 for a compound on Hampton Island Preserve. Mr. Affleck said he fell in love with Georgia while filming the movie “Forces of Nature” with actress Sandra Bullock in the 1990s. He says with his three children getting older, he doesn’t get out there as often as he would like, so he is putting the home up for sale and may build a smaller one nearby. The estate spans roughly 87 acres; at the center sits a Southern antebellum Greek Revival Plantation home with sprawling rear verandas overlooking the North Newport River. A path from the main house leads to the so-called Oyster House, a 10,000-square-foot rustic barn with bunk beds salvaged from marine vessels, according to Dicky Mopper of Engel & Völkers Savannah, a real-estate agent who is listing Mr. Affleck’s property for $8.9 million. Christina Bates owns a former plantation known as Huspa in Sheldon, S.C.
For Congressman Mark Sanford, the former governor of South Carolina, the islands offer a similar sense of peace. He shares ownership of Coosaw Plantation, a sprawling island property of more than 3,000 acres about an hour’s drive from Charleston, with his siblings. Their father bought it several decades ago and, in 2009, the family put about half into a conservation easement, protecting it from future development. “My siblings and I have become very attached emotionally to this piece of land and we wanted to leave our kids this legacy,” Mr. Sanford said, noting the increasing demand from developers. “A lot of places where I grew up hunting as a boy are now developments,” he said. Taylor Glover, an Atlanta businessman who owns a 7-acre parcel on the edge of Cannon’s Point Nature Preserve on St. Simons, one of less than half a dozen homes surrounding the 600-acre parcel, said he was lured by the privacy of the home when he purchased it. Public records show he paid $5.1 million for the home in 2016. On a recent tour of Mr. Glover’s estate, small black crabs scuttled out from under the leaves on the driveway and an armadillo darted from behind a tree. Mr. Glover’s staff grows peaches and figs. Not a single other home can be seen from the 120-foot screen porch in the back. 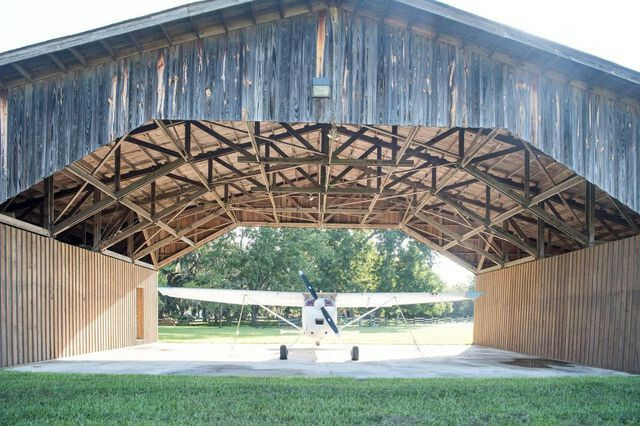 Ms. Bates’ estate includes two grass airstrips and hangars because her husband was a racing pilot. Living on a large remote estate does have its challenges. For Christina Bates, who owns a former plantation known as Huspa in Sheldon, S.C., maintaining the property is hard work. It takes around 45 minutes to traverse the bulk of the 325-acre estate, which is surrounded by water on three sides, on an all-terrain vehicle that looks like a sturdier version of a golf cart. Since her husband died last year, she must rely on her sons, both local tug boat captains, to tend to the long grass and remove fallen trees. A half-mile avenue of moss-draped oaks leads up to her roughly 4,500-square-foot main home, which was designed in “ Frank Lloyd Wright -style” by her late husband. Her estate includes two grass airstrips and hangars because her husband was a racing pilot, as well as two small additional islands. The post The Secluded Island Hideaways for America’s Rich and Famous appeared first on Real Estate News & Insights | realtor.com®.